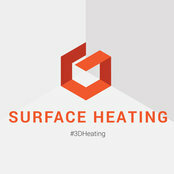 3D Heating - Our revolutionary innovation evolves of the way we heat our home. Up to 25% lower heating costs with the right choice of wall, floor or ceiling heating. Surface Heatings systems work at a low temperature, which is of great advantage when used with alternative energy sources such as heat pumps, solar-supported heating, biomass and other backup storage systems. 100% more comfort with 1 - 3°C lower room air temperature. Heated surface areas generate pleasant, healthy radiant heat. In this comfortable indoor environment, the room air temperature can be set up to 3°C lower. This saves a considerable amount of energy and reduces the level of heat loss from the building.